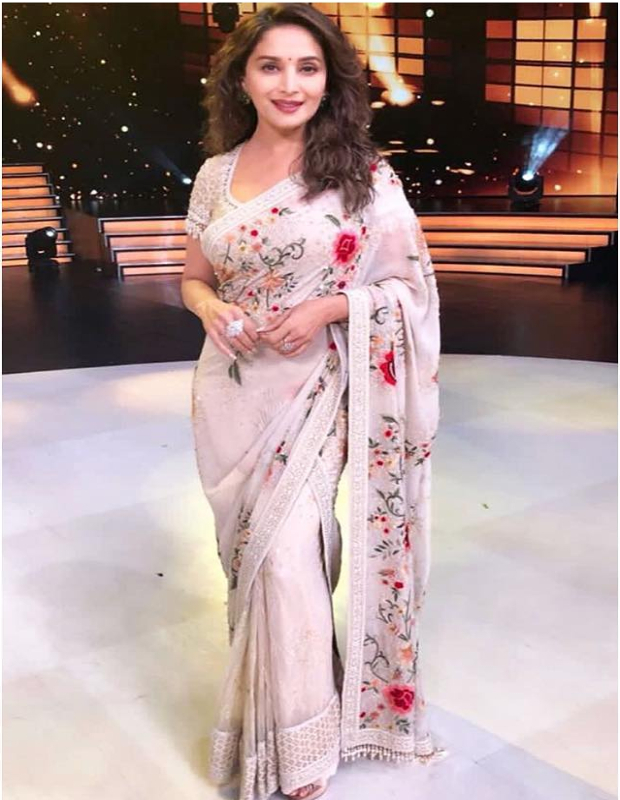 Styled by Tanya Ghavri, Madhuri draped a Tarun Tahiiani creation. It was a gara embroidered saree with lace pleats, embellished with crystals and fringing. A statement piece from Gehna Jewelers was the only accessory of choice. Makeup artist Mickey Contractor rendered his magical touch by giving Madhuri a stunning, dewy makeup. 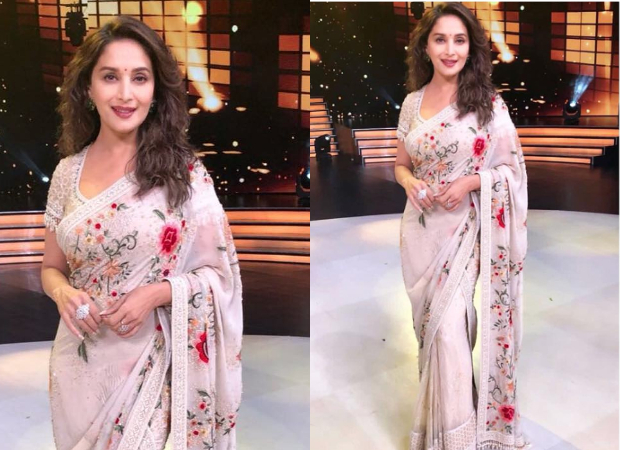 Mauve-tinted lips, delicately lined eyes and a refreshing face adorned with a small bindi suited the saree-look to the T. Madhuri finished out the look with textured hair left open. 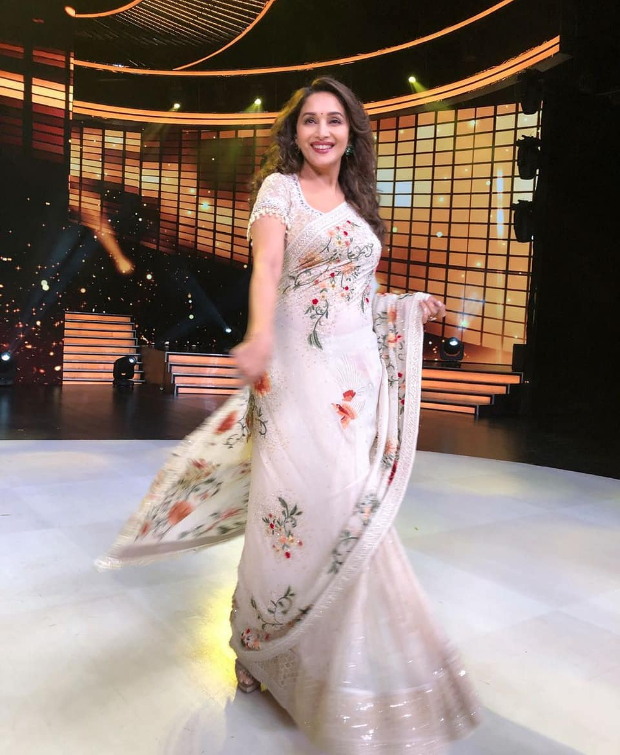 Madhuri Dixit judges the show, Dance Deewane with other celebrities like Tushar Kalia and Shashank Khaitan where talented contestants showcase their skills by performing a variety of dance forms.